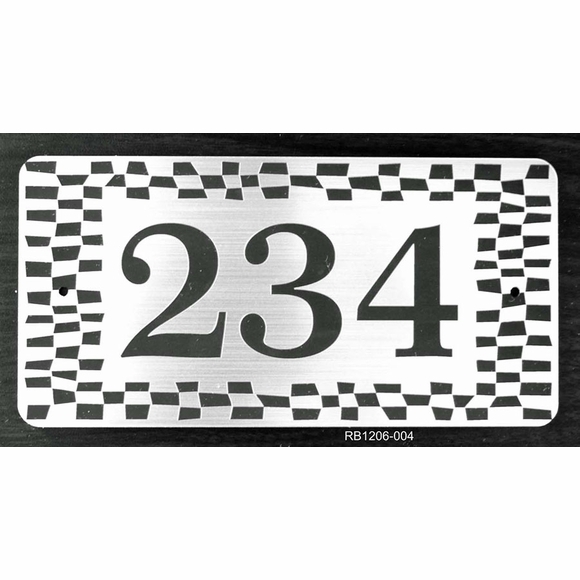 Personalized Address Plaque with Checkerboard Border - - 12" x 6" rectangle house number sign has one line that holds a maximum of three 3" characters. Made in USA. This sign features a bold checkerboard border. Special radius corners replace the pointed corners found on most rectangle address plaques.